Aim:To describe the clinical, demographic and environmental features associated with NSCL/P (nonsyndromic cleft lip and/or palate) patients born in western Parana state, Brazil. 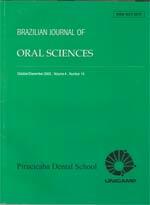 Methods: This cross-sectional, observational, retrospective study included 188 patients attended at the Association of Carriers of Cleft Lip and Palate - APOFILAB, Cascavel-Parana, between 2012 and 2014. Information on demographic characteristics, medical and dental histories and life style factors were obtained from records and personal interviews. Results: Among the 188 patients, cleft lip and palate (CLP) was the most frequent subtype (55.8%), followed by cleft lip only (CLO, 25.0%) and cleft palate only (CPO, 19.2%). Caucasian males were the most affected, although no differences among types of cleft were observed. The otorhinolaryngologic and respiratory alterations were the most frequent systemic alterations in NSCL/P patients, and more than 80% of the NSCL/P mothers reported no vitamin supplements during the first trimester of pregnancy. Conclusions: This study revealed that the prevalence of nonsyndromic oral cleft types in this cohort was quite similar to previously reported prevalence rates. Systemic alterations were identified among 23.4% of the patients and patients with CLP were the most affected. History of maternal exposition to environmental factors related to nonsyndromic oral clefts was frequent and most mothers reported no vitamin supplements during the pregnancy. This study highlights the importance of identifying systemic alterations and risk factors associated with NSCL/P in the Brazilian population for planning comprehensive strategies and integrated actions for the development of preventive programs and treatment.